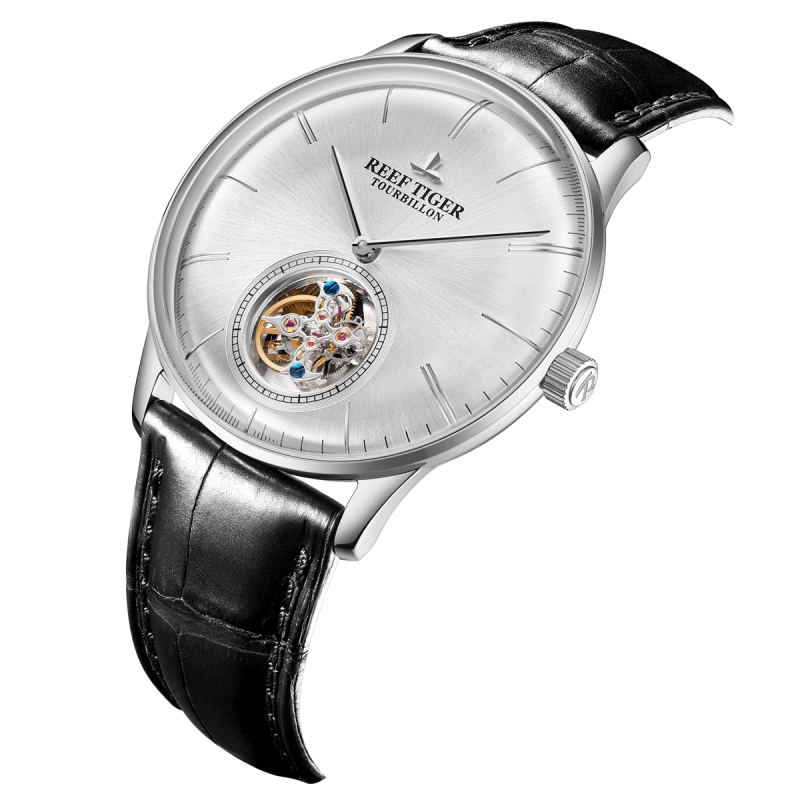 The watch is available in a case crafted from steel. The case carries a steel bezel. The dial, created in white, it is completed with stick markers. 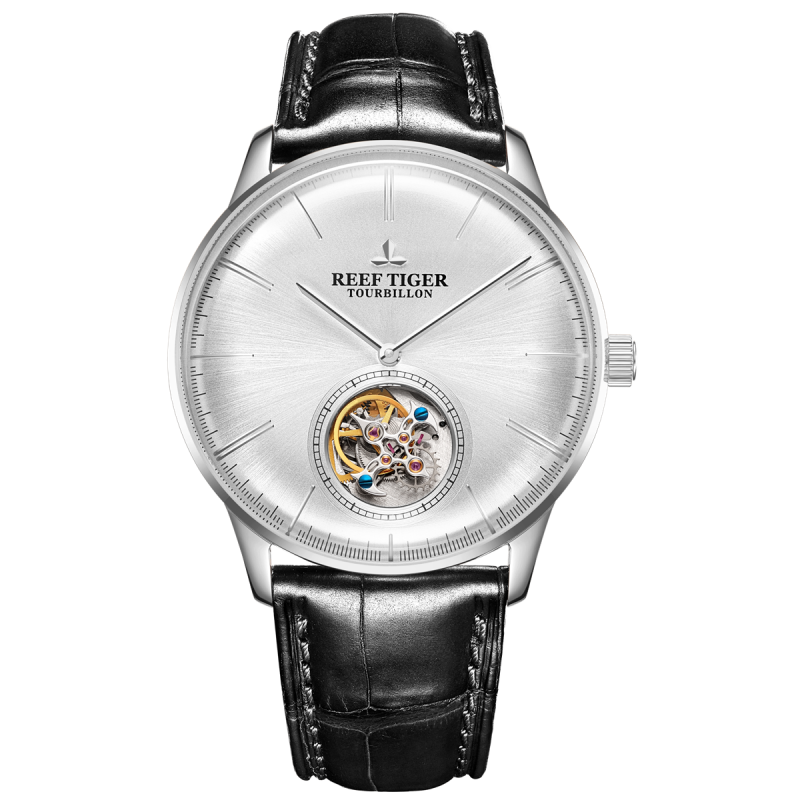 The display is controlled by a Reef Tiger Tourbillon Automatic Movement. Keeping the watch secured to the wearer's wrist is genuine leather strap with Deployment Buckle.Waterproof to 50 meters. 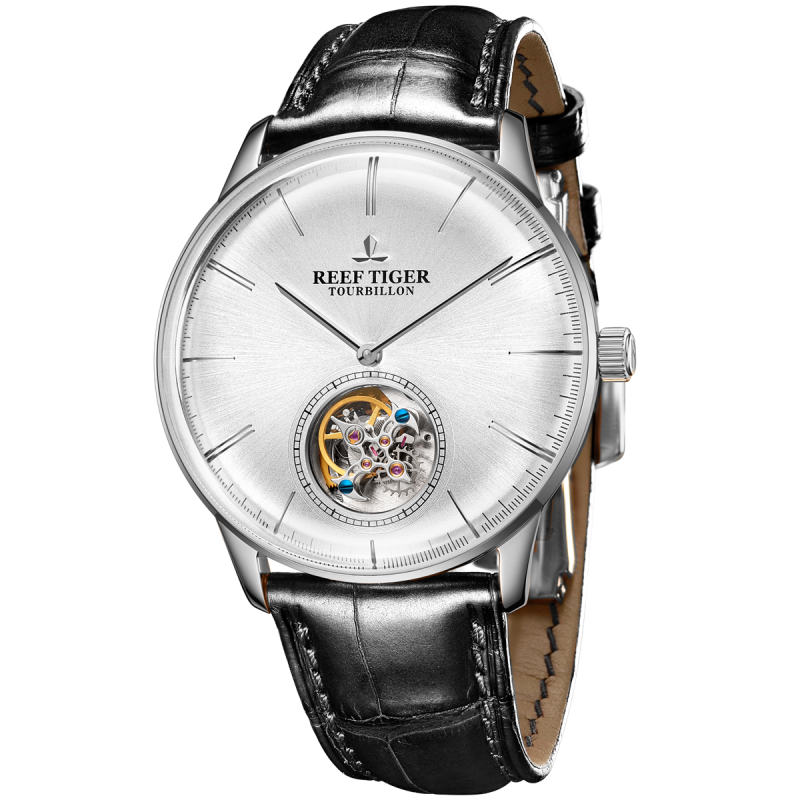 Reef Tiger Seattle Tourbillon Watch. 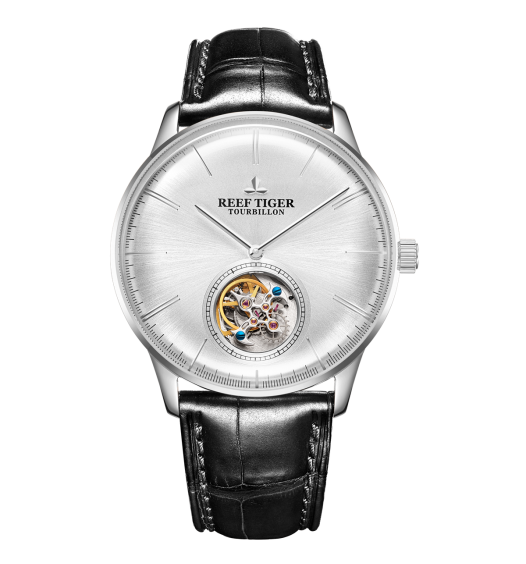 The durable, steel, steel bezel also fitted with create professional looking proposals and presentations. Durable poly front and back covers with coordinated.